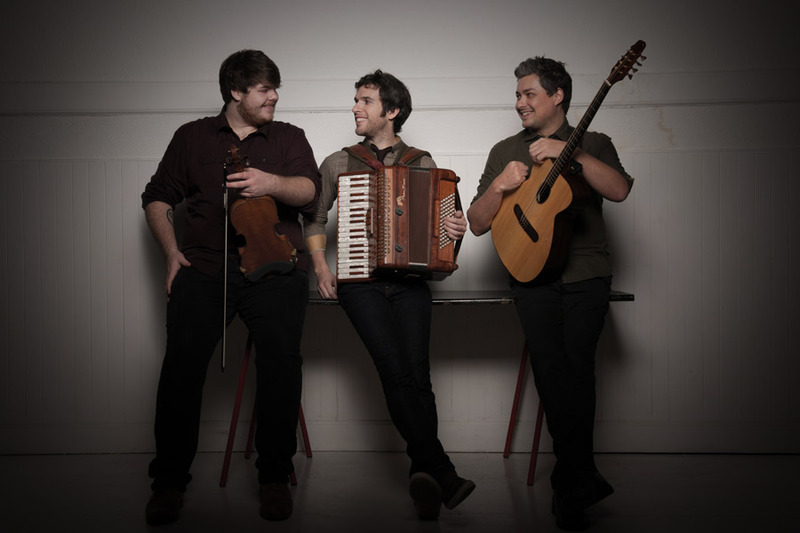 The trio’s award winning debut album, self-titled Barrule, showcases a diverse collection of material from rousing marches, jigs and reels to sorrowful slow airs and beautiful songs sung in the Manx Gaelic language. Their follow up album, “Manannan’s Cloak”, was recorded in December 2014 in the historic St. Bridget’s Chapel, in the Isle of Man’s Nunnery grounds. With producer Andy Seward at the helm, Manannan’s Cloak takes the trio’s emphatic sound to the next level, with guest performances from a support cast that boasts Paul McKenna on vocals, Calum Stewart on uilleann pipes, Dylan Fowler on lap steel and Tad Sargent on bodhrán, not to mention the homegrown talents of regular collaborators David Kilgallon (piano) and Gregory Joughin (vocals). Released in May 2015, Manannan’s Cloak is already receiving excellent reviews and continues to further the trio’s mission of promoting Manx music across the globe. Bio: A talented multi-instrumentalist, Adam Rhodes was originally born in England before moving to the Isle of Man at the tender age of 8. 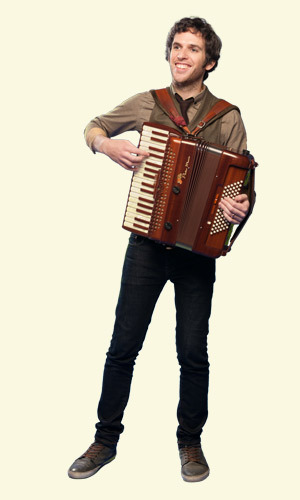 Ever since Adam has been heavily involved in the Manx music scene. He is well-known through his involvement with one of the island’s leading Celtic groups, King Chiaullee, with whom he recorded three albums and represented the Island at festivals all over the world including Brittany, Ireland, Scotland, Cornwall, Wales, USA and Canada. Although Adam grew up and spent most of his life on the Isle of Man, he now lives in Glasgow after spending a few years in Edinburgh where he studied at University. Adam also plays Bouzouki with the band Mec Lir. Bio: Jamie was born and raised in South Wales, however he has been heavily involved in the Manx folk scene for over ten years. His strong ties to the Island are not only through his passion for Manx music, but are also reinforced through his marriage to Manx dancer, fiddler and singer Gráinne Joughin. 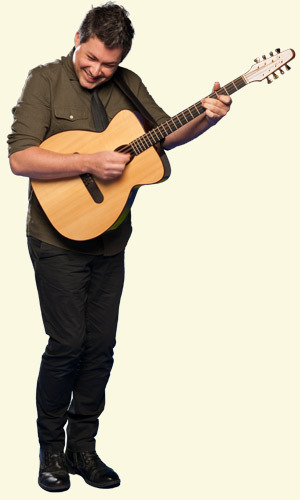 A talented composer, Jamie is also known as the frontman of popular Celtic group Mabon, with whom he has performed at festivals around the world, toured extensively in the UK and released four albums since their formation in 1999. Their most recent album, Live at the Grand Pavilion, won the Best Instrumental Award at the Spiral Awards 2011 and received much critical acclaim. Bio: A familiar face on the Manx music scene, Tomas Callister has established himself as one of the leading Manx musicians, despite being in his early twenties. 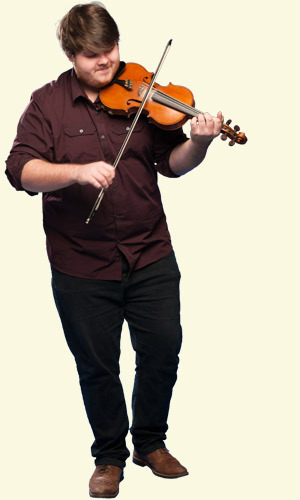 Not only satisfied with being an outstanding fiddle player, Tom also plays guitar, banjo and pretty much any other instrument thrown his way! Tom is well known throughout the island as a passionate supporter of Manx music as a soloist and as a member of local Manx group 'The Reeling Stones' and trad pop band Mec Lir.